Whenever I have a trip coming up, I'm the type of person who plans their outfits down to the last detail way far in advance—but when it comes down to it, I decide I hate everything I was going to pack and start frantically ordering things to bring. (Trust me: I fully realize this is not a great strategy.) A few weeks ago, I planned a last-minute trip to New York during that awkward early fall time when it's too warm for a coat but too cold for just a denim jacket or sweater. Yes, I've been a fashion editor for almost five years, but I never have any idea what to wear when the high is in the 60s and the low is in the 50s. 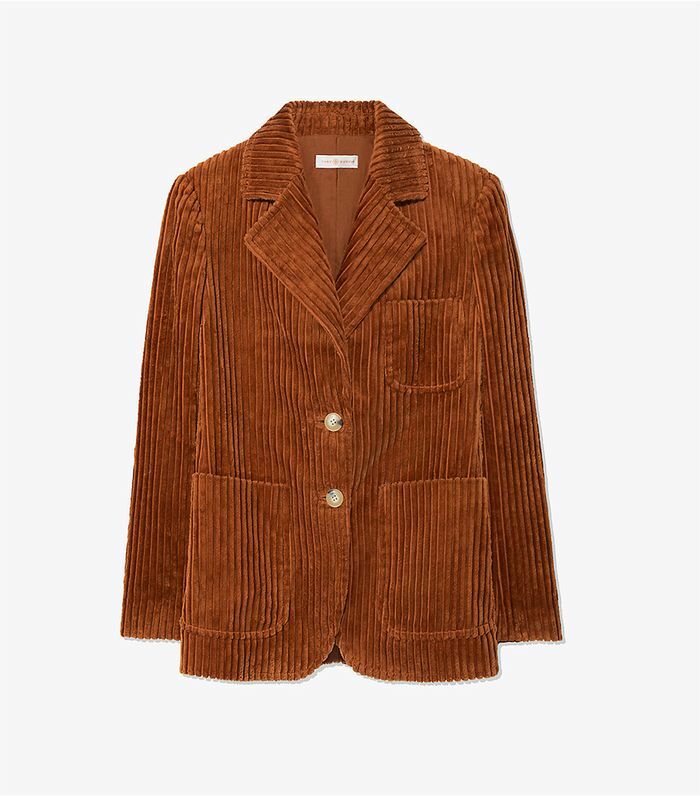 Luckily, one of the biggest trends of the season was just the ticket this time around: corduroy jackets and blazers. 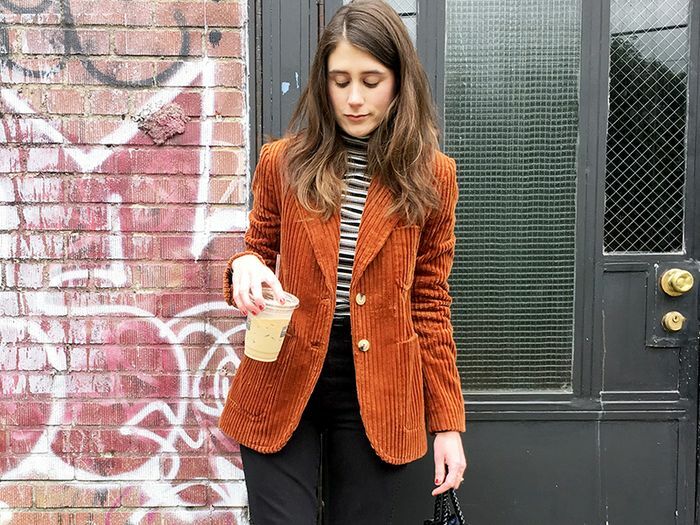 Once seemingly bookish, corduroy is experiencing a major revival (even in the form of skinny jeans) this fall and winter, and I knew it would be the perfect piece to wear in the fall in NYC. The two styles I packed were a wide-cord Tory Burch blazer (which I'm wearing in the above photo) that kept me warm even when the thermostat went down to the low 40s, and an oversized Zara jacket that was the perfect cover-up in the plane and when temperatures were a little milder in the city. As a bonus, I don't have to retire them when winter arrives—corduroy jackets and blazers are the perfect layering pieces. Keep scrolling to shop the two corduroy jackets I wouldn't travel to NYC without this month, along with 20 more options that are worth every penny. This blazer was incredibly cozy and went with every single thing I packed. Pro tip: If you're petite, I advise belting this and/or wearing it with heels. It's quite oversize. Next up, shop the best faux-fur coats on the market.